Laguna seca raceway is one of the most important and interesting racing tracks in the world. I meant 4th, silly me. is laguna sega a street road? and how the hell did it got on there when there’s a race going on?? WTF? This was a nice one! Google Can’t keep up!!! LOL! 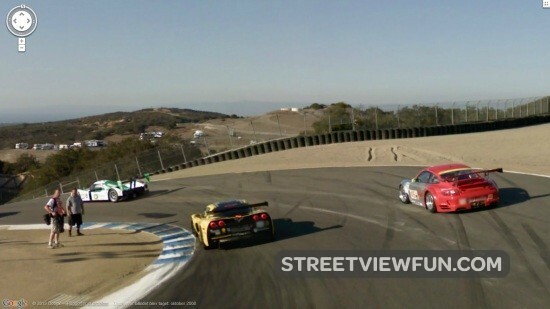 Oh, it’s the corkscrew at Laguna Seca! I raced this track on Gran Turismo 2 and this is the trickiest part of the whole game lol Geez, that was a long time ago..